57 years ago today, at the closing of the World Council, Joseph Cardijn made the following speech about young workers; it remains alive now and will never be outdated. “We believe in the possibility of saving the last of the young workers and working girls, whatever their color or race, civilization or continent. They are the sons of God and we must save them,” Cardijn said. Hong Kong – The ASPAC team gathered together seven leaders in St. Stephen's Church, Kwai Fong, for a Regional Team Meeting from 14th to 18th July 2014, followed by a one-week visit which included ROLWA, a China YCW meeting, a YCW Hong Kong meeting, as well as a meeting with Cardinal John Tong, Bishop of the Hong Kong Diocese. One aim of the Regional Team Meeting was to strengthen friendship and comradeship among the new and old team members – in addition to updating the analysis of the national movements’ reality in Asia Pacific and confronting it with the global analysis/situation, as well as measuring the work the movements carried out over the past 4 years. We cannot build a world with decent work while ignoring young workers’ participation. No integral development can be made without respecting workers’ rights. Therefore, each of us in this conference should strategically bring young workers on board developing a road map towards decent work for all. 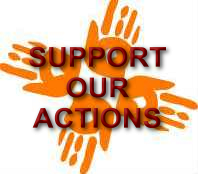 We need fair migration and not forced migration! The Director-General of the ILO has through his report on fair migration opened the door to debate and reflection for collective wisdom moving towards the fair migration that we dream of. It is an essential task of the ILO members and the international organisations to bring forward the commitment to make migration fair and dignified for all. The IYCW is participating in the 103rd International Labour Conference, a tripartite meeting bringing together governments, trade unions and employers, currently held in Geneva, Switzerland from May 28 to June 12. The IYCW and WSM always participate in the ILC actively and efficiently, with relevant statements and helpful suggestions to the committees. 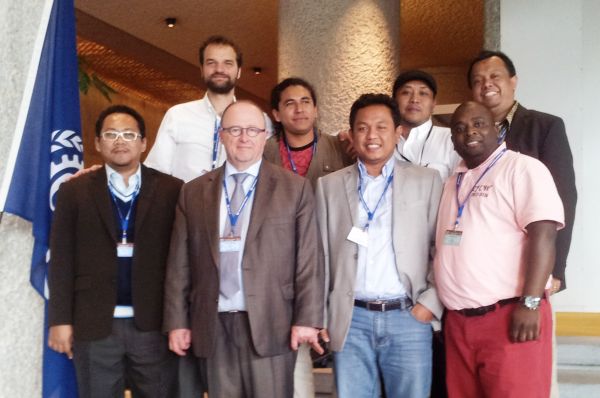 The IYCW is promoting representative action within the ILO with the presence of its activists from Asia, Africa, Europe and the Americas. 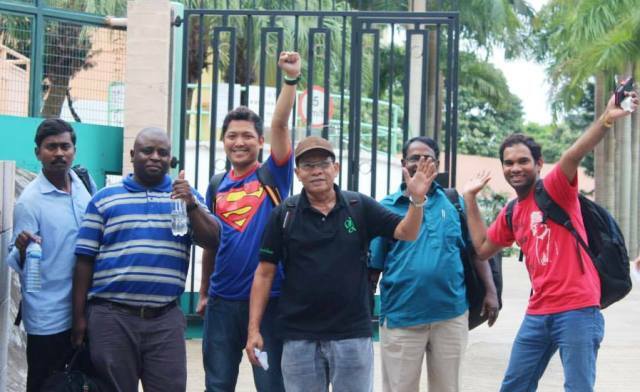 It should be noted that in the framework of the issues dealt with by the ILO, the IYCW objective for this 103rd ILC is to: give visibility to the concrete actions we are developing as IYCW and contribute to the building of international policies in favour of the working class throughout the world. Our participation is focused on two committees: Forced Labour and Transitioning from the Informal to the Formal Economy. From April 26 to May 1, the Philippines YCW celebrated the International Week of Young Workers and commemorated struggle, solidarity and success. It held a series of training and awareness programs, discussing pressing issues of today, conducting home visitations to young workers and their families, and marching with different trade unions, Church people and sector organizations on May Day. 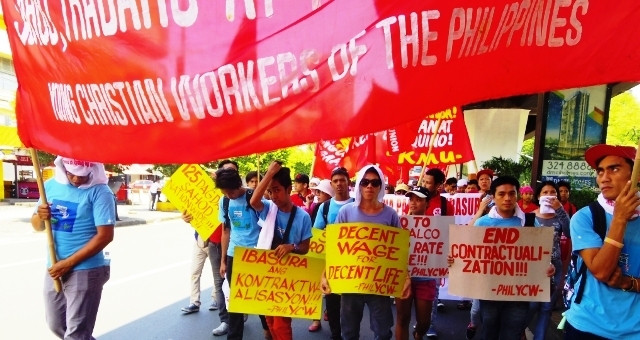 On May Day, the Philippines YCW highlighted its demand for a 125-peso wage increase nationwide for workers in all sectors. This is in line with the global campaign of the IYCW on Just Work and Social Protection and with the Asia-Pacific YCW motion for a Decent Living Income, Decent Work and Decent Life. 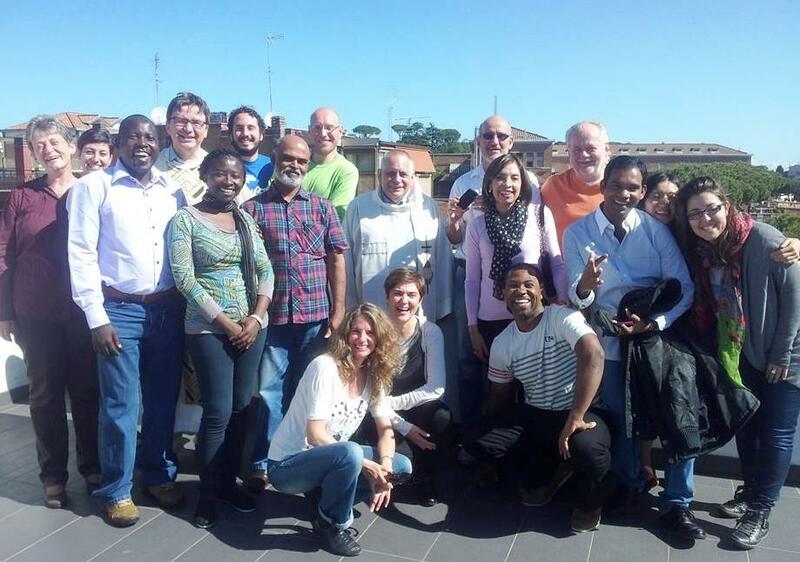 An International Seminar on decent work and post-2015 agenda was held in Rome from 29th to 30th April 2014. The seminar was organized by the International Catholic Church-Inspired Organizations (Catholic group) in collaboration with the International Labour Organization (ILO) and the Pontifical Council for Justice and Peace (PCLP). Robert Vins Challappan (ASPAC Team), Arlindo de Oliveira and Ludovicus Mardiyono (International secretariat) represented the IYCW in that seminar. The seminar concluded with a relevant statement underlining the importance of “decent work for all” as an explicit goal of the post-2015 sustainable development goals. Young Workers Demanding Just Work and Dignified Life! 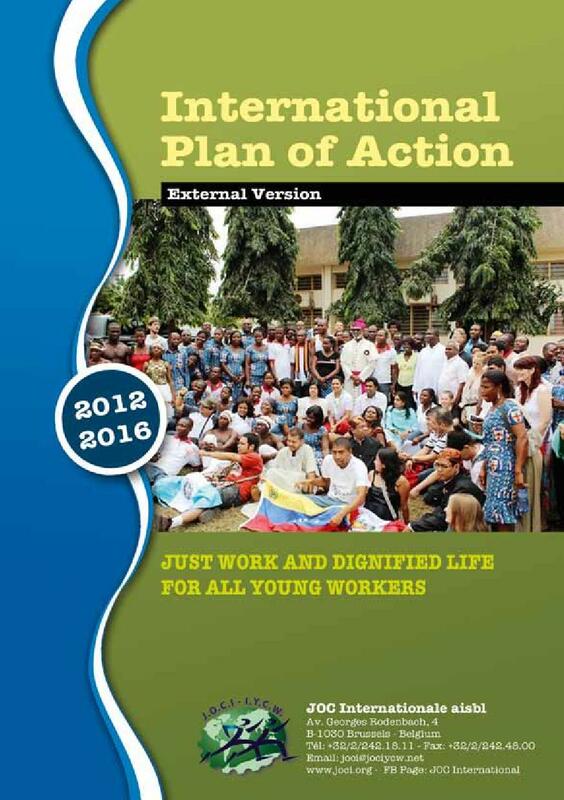 As is always the case with the Young Christian Workers on the International Labour Day, all members, leaders and supporters of the YCW around the world commemorated May 1st, 2014 with a variety of events. 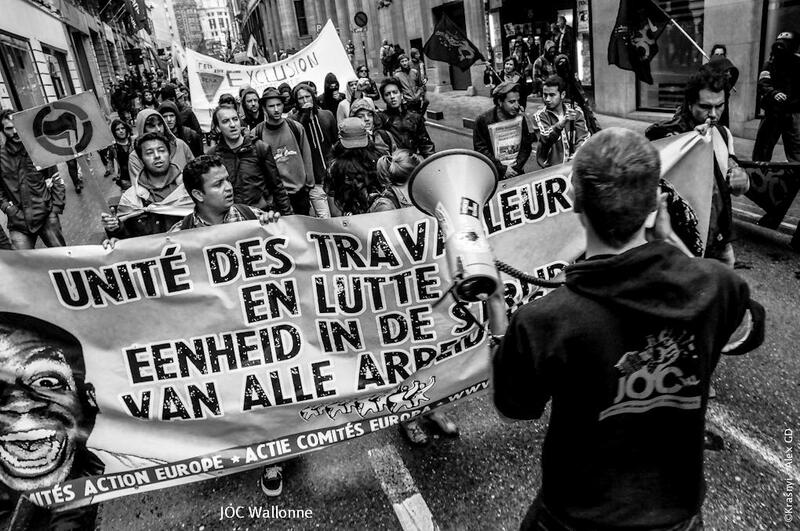 May 1st is a historic and important moment for the YCW movement around the world to raise demands for the welfare of all young workers and their families, ranging from a living wage, employment, social protection, job security, to freedom of association, gender equality and other fundamental rights. 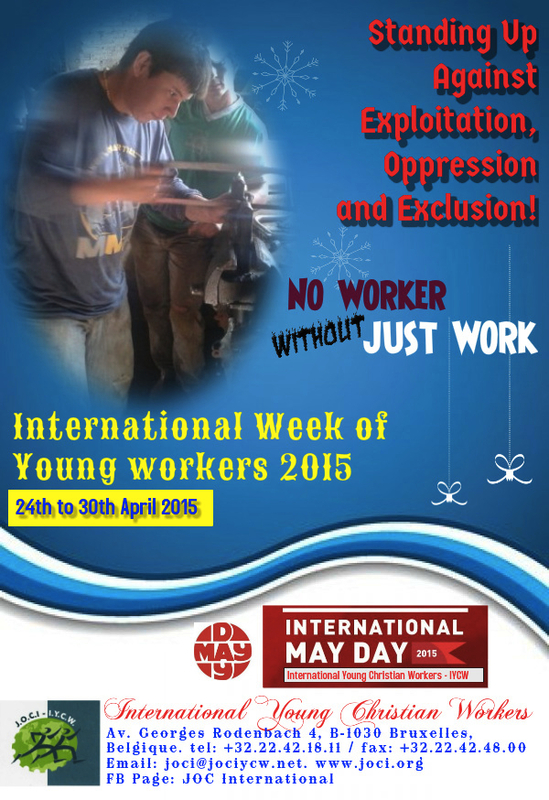 Click here to see some photos of YCW activities in several countries commemorating the International Labour Day 2014.